eLearning Design and Development / How To Create An Effective eLearning Experience? How To Create An Effective eLearning Experience? In today’s business scenarios, anyone may be able to create a simple online course; however, creating an effective eLearning course is a different thing altogether. eLearning is becoming a common area where employers can create their eLearning courses with ease; but using several media does not necessarily improve the effectiveness of an eLearning activity. Good Instructional Design is more critical to achieving learning effectiveness than special multimedia effects. In this article I will share a few things you need to know about creating effective eLearning courses. As we know, Instructional Design is the systematic development of specifications using both learning and instructional theory to ensure the quality of training. In professional training the aim of Instructional Design is to improve employee performance, as well as to increase organizational efficiency and effectiveness. Many Instructional Designers focus on the business objective of the organization while developing any eLearning curriculum, as business objectives can be achieved via the performance objective of the learners. So while focusing on eLearning effectiveness we should also focus on the eLearning course’s performance objective. Choosing the right method is always important. However, equally important is creating eLearning with effective results, and this is still a challenge. eLearning is part of a conscious choice to choose the best and most appropriate ways to promote effective learning. Both facilitated and self-paced eLearning activities and content should conform to a set of quality standards to ensure the effectiveness of an eLearning program. What Does Effective eLearning Mean? 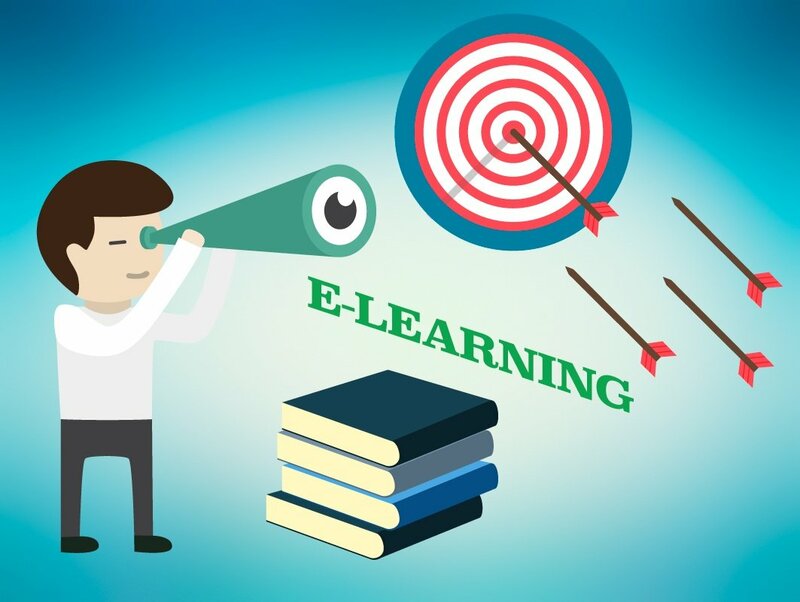 Effective eLearning means getting the business objective fulfilled by delivering the whole bunch of courses to the learner and get their performance objective. Effective eLearning provides learners with motivation by using delivering techniques. An effective eLearning course takes a good deal of time, hard work, and a commitment to high-quality content. Effective eLearning enables accessible, relevant, high-quality learning opportunities that improve learner engagement and achievement. Effective eLearning altogether means creating for the organization long-term assets which bring effective results in terms of ROI. eLearning can offer effective instructional methods such as practicing with associated feedback, combining collaboration activities with the self-paced study, personalizing learning paths based on learners’ needs, and using simulation and games. 1. Set And Communicate Clear Goals. There is no golden rule on how much time you need to put into creating the ideal content, but one thing is certain; you need to take your time to research material before making it available to your learners. A point we can’t stress enough: one of the reasons teams are unable to achieve goals is not having clear enough guidelines on how to reach them. Part of the curriculum of any course should be what will be done, when it will be done, and what is needed for the successful completion of tasks. It is, therefore, important that all instructors set and communicate clear goals to their learners in a manner which ensures not only that they will understand them, but also that they will be able to put them into action. 2. Focus More On Analysis And Design. Knowing well the subject matter. The relevance of the content and course objectives for the participant: Do they meet existing needs? Type of learning activities offered by the course: Are they interesting, inspiring, and well‑matched with the participants’ level? Course duration, timing, and number of hours to be invested: Do they fit the participants’ availability? Technical aspects: Is the technical solution appropriate to learners? Are the technical elements (e.g. the learning platform and its functions) clear and understandable to participants? High quality content, images, audio. Maintaining a consistent look and feel. Making the content easy to read. Using the Color theory to create contrasting colors. Using proper spacing throughout the course. Check the quality of the course to improve it before it is implemented. Measure the effectiveness of training and learning immediately after the course has been implemented; or evaluate an old course to see whether it is still valid or needs to be modified. During the development stage, to improve instructional courses or products (formative evaluation). During or immediately after the implementation stage, to measure the effectiveness of education, training, and learning (summative evaluation). Sometime after the course has been implemented, to understand if it is still valid or needs to be updated or modified (confirmative evaluation). Evaluating learning activities is crucial for both self-paced and facilitated online courses. Evaluation allows you to assess learners’ progress, the quality and effectiveness of the course, and improve future learning activities and content. In conclusion, learning and development effectiveness is always an important factor for Instructional Designers. Creating effective eLearning is always a challenge, but it can be overcome by using proper methodology and process as discussed in this article. Understanding the above points will make a real difference in fulfilling business and learner objectives.